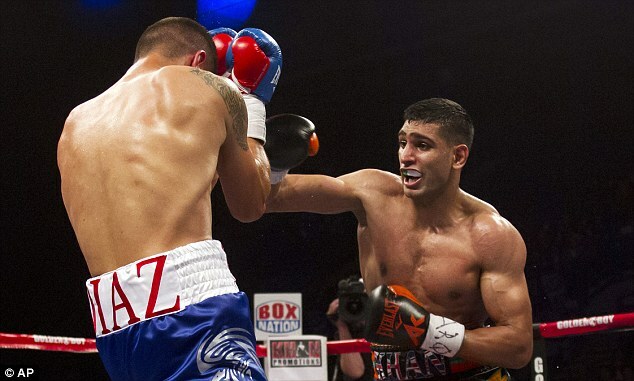 A conflict between the schedule of the world’s best boxer and the timing of Ramadan – with its religious obligations for Bolton’s most prominent Muslim – mean the earliest Khan can hope to fight Mayweather is May next year. 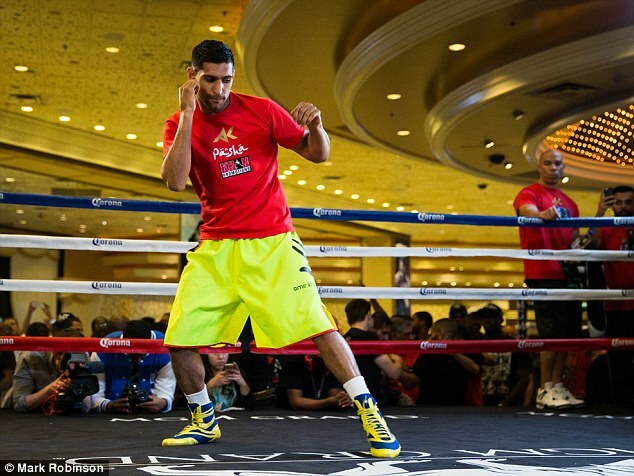 Mayweather has earmarked September 13 for the fight to follow his headlining of this weekend’s bumper bill and Khan explains: ‘I can’t be ready for that date. Ramadan doesn’t finish until the end of July and I would need three months in training camp after that to prepare for a fight of this magnitude. The earliest I can be back in the ring after my fight here is late October or early November and that will have to be against another opponent. 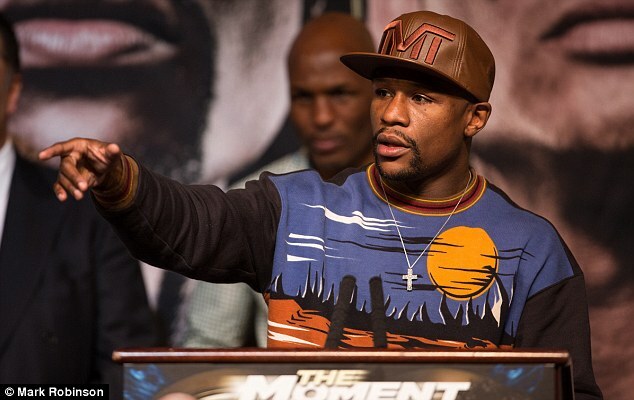 ‘I’ve told Floyd that and he assures me I’m still on his list. Of course I am still pursuing the fight with him but the next window for that is this time next year.’ Khan was promised this Saturday night’s multi-million-dollar fight with Mayweather and signed the contract, only to find himself relegated to the chief support act at the MGM Grand Garden Arena. So instead of fighting each other, Khan and Mayweather are taking on men who have been to hell and back on their journey to this lavish promotion. Luis Collazo, the New Yorker of Puerto Rican origin who will be in the opposite corner to Khan, descended so far into depression as his career stalled a year ago that he took heavily to drink and came close to shooting himself. Marcos Maidana, the Argentine challenger for Mayweather’s world welterweight title, became so discouraged by losing to former champion Devon Alexander that he was close to quitting the ring. Collazo, like Khan a two-time world champion, says: ‘I got to a point where I thought about commiting suicide. I was in a dark place and I turned to alchohol and turned away from my family and friends. I was drinking cognac , even though whenever I got sober I realised it wasn’t the answer. ‘It became so bad that my wife was afraid to come home because she didn’t know what kind of person she would find there. When she told me that I broke down crying. She didn’t want to see my like that. ‘When I was younger I used to have guns in the house but luckily, for some reason, I didn’t take them with me when I moved home four years ago. If I’d had them with me one bad night I might have done something. Collazo, now 33, and his wife have separated but he sees his two daughters at weekends and is ‘very excited’ that they are here for the fight. He says: ‘I don’t drink in front of my daughters and when I do have a drink now it is just a glass of wine.’ After he rededicated himself to boxing ‘which is the thing I’ve most loved doing since I was ten years old’ he surprised most observers by knocking out Victor Ortiz to get his career back on track. Now he says: ‘I want to make the most of this second chance that God has given me. 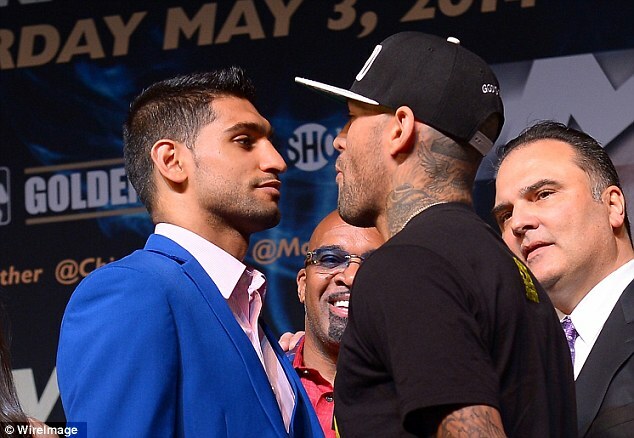 Khan wants to fight Mayweather but so do I. It looks as if the winner of this fight will get that opportunity and that will be me.’ At 33, Collazo is best remembered in Britain for the thrilling fight against Ricky Hatton in Boston in which the Hitman won his second world title by a nailbitingly close decision. He says: ‘A lot of people thought I won that fight. Now it’s Amir. They have both come up a division to fight me and as I’m an established welterweight that can be a problem for them. ‘They are different fighters. Ricky was a very aggressive brawler while Khan is taller, a better boxer and very fast. 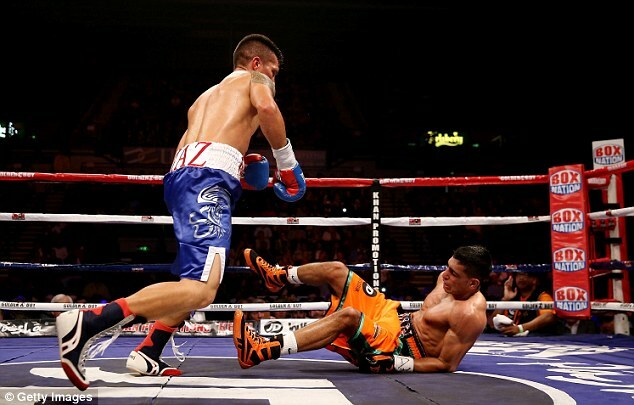 But it does seem that he is vulnerable when he gets caught and he hasn’t looked comfortable against lefties.’ Collazo’s southpaw style has proved awkward for most opponents and Hatton has warned Khan not to get drawn into a war with him. Between fights, Collazo works with youth projects in the Bronx. He says: ‘I tell them that no matter how far they get down, alcohol is not the answer. It might make you feel good at the moment but the next day you feel like crap again. ‘Tell anyone reading this that the answer is the Man upstairs.’ Maidana’s crisis was rooted more simply in boxing and was sparked by his failure to beat then-world champion Alexander. He says: ‘That was my first fight moving up to welterweight and it was a bad experience. I felt small, like I was out of place in this division. It was very depressing for me and I was close to quitting.’ His salvation came in the form of a new trainer. Robert Garcia brought strength and conditioning experts with him and Maidana recovered his fabled punching power against heavier men. He, like Collazo, is confident of an upset win and says: ‘Floyd is a great boxer but I will hurt him at some point and when I hurt opponents I finish them off.’ Both Khan and Mayweather have been warned.